Due to inclement weather, we have decided to postpone this Saturday's 2019 NC Gravity Games to Saturday, April 27. The schedule will remain the same and we hope each of your teams will be able to attend and compete. Running West to East on Ashe Ave. 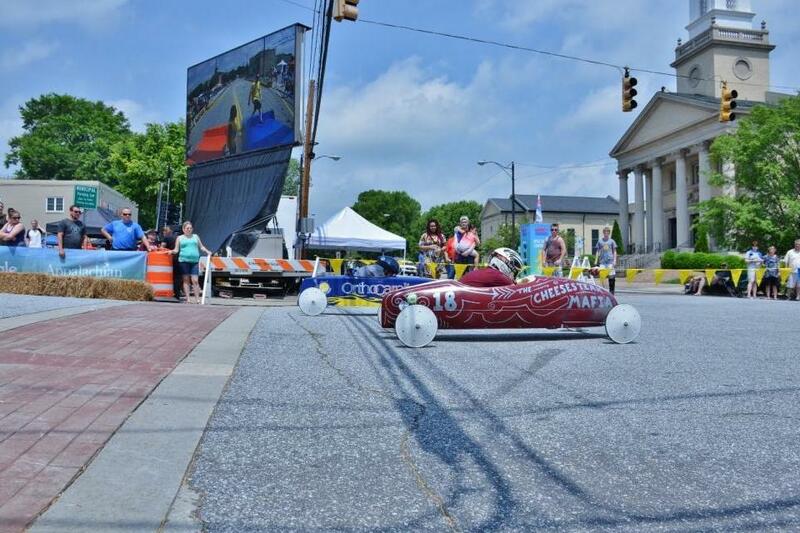 The Gravity Games are an opportunity for students to engage with STEM in a fun and hands-on way, as they design and build gravity-powered cars, then race them through the streets of Lenoir. Teams from schools, Scout Troops, and Boys & Girls Clubs across the state use their engineering skills to build the fastest and coolest cars. NC Gravity Games is a signature event of the NC Science Festival. Sponsors include Google, Appalachian State University, the University of North Carolina and the City of Lenoir. For more information about the NC Gravity Games, please email contact@ncgravitygames.com. What are the NC Gravity Games? The NC Gravity Games competition sponsored by Google, Appalachian State University, the University of North Carolina and the City of Lenoir. The NC Gravity Games are an educational, hands-on activity designed to get young people excited about science. The NC Gravity Games are a signature event of the North Carolina Science Festival, a multi-day celebration highlighting the educational, cultural and financial impact of science in our state. Who participates in the NC Gravity Games? The NC Gravity Games are always looking for the best, brightest and speediest engineering minds in the state. More than 30 teams of middle and high school students have participated in past events. Adults can also participate in the “open” race category. How can I help support the NC Gravity Games? Encourage students in your class to compete in the NC Gravity Games. 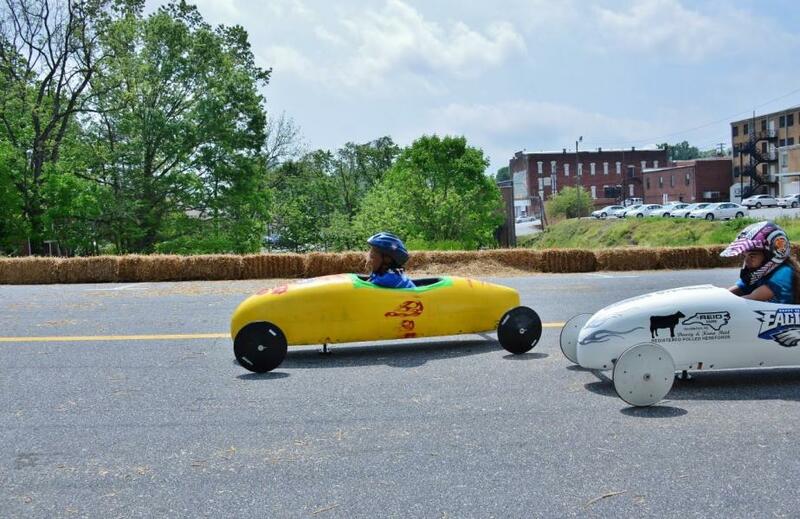 If you’ve never participated before or want to make the jump up to the engineering division, consider applying for funds from the NC Science Festival to help cover the cost of materials and transportation.